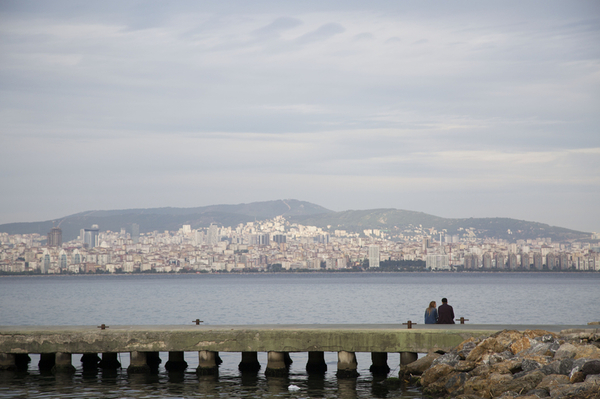 Online dating in Turkey is a lot like online dating in Lebanon…not popular and still seen as taboo. 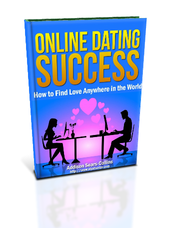 As a result, don’t expect to have the same results in this country that you would find in other parts of the world like Russia or Thailand, where online dating sites are less taboo and have been around for years. There is really only one online dating site that is worth signing up for (more on this site below). Dating/social networking sites like Badoo.com and Tagged.com that are worldwide and have a massive number of members in Turkey (Istanbul especially) seem to be chock full of false profiles. You can still sign up for them, but you will be spending a lot of time combing through low quality profiles in order to uncover even one hidden gem. Despite the tough online dating scene in Turkey and the rest of the Middle East, I still recommend you go ahead and give it a try if you are planning on living in Turkey for any reasonable amount of time. Turkey has beautiful women that are friendly and more open-minded than in a lot of other areas of the Middle East. I’ve had some good close friends who are from Turkey. Should you decide to sign up for the online dating site I recommend below, be sure to read member profiles carefully as you might come across a lot of fake profiles. Usually, I can spot these profiles easily. A woman who has only one picture posted, is wearing a tight bikini and making an overly suggestive pose are usually clear signals to steer clear. Here is the quick list of the top two dating sites in Turkey. I’ll go into more detail below. 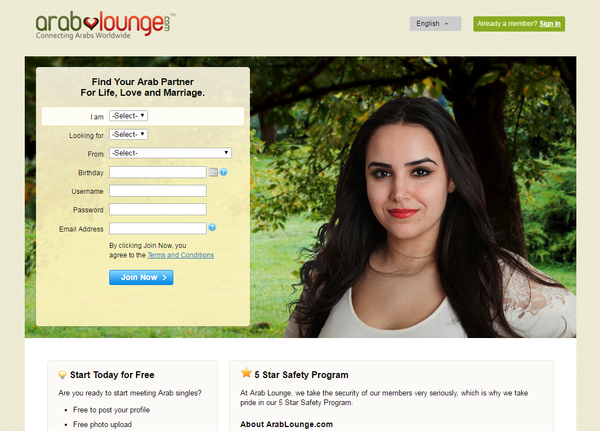 Arab Lounge is a smaller dating site catering to Arab men and women around the world. Arab Lounge is part of the World Singles Network and lets its members extend their search for matches to other sites in this network. Though the user-base is smaller than many other sites, with about 30,000 visitors a day, overall I found the site well-designed and easy to navigate and use. Highly detailed profiles make it easier to find great matches, but if you’re serious about meeting someone on here, you’ll have to pay for a Platinum membership. To sign up, specify your gender, what gender you are looking for, and your birthday and chose a username and password. Next, provide your name and location, then select options from boxes for basic information (race, religion, marital status, etc.). An interesting inclusion in this category is your “best attribute”, with different body-parts as choices: belly button, eyes, neck, etc. Finally, write a profile headline, such as “new in town” or “looking for fun”, and describe yourself and your ideal match. Arab Lounge has a number of search options. Basic search is by age and location, while detailed search allows you to further narrow down your search by physique, family roots, religion, and race. As a platinum member, many more search criteria are available. You can also browse members who are currently online, search Matches (users who match your criteria) and Reverse Matches (users who are looking for people like you). Finally, you can search via “Photo Slideshow”, which shows one profile at a time for you to either Favorite, or skip. Communicating between members consists of adding someone to your favorites, visiting their profile, or sending a “wink” or a message. To send a message, you’ll need to upload a photo or upgrade to a Platinum membership. As a free member you can send messages, but only read those sent by Platinum members. To really take advantage of their messaging system and gain access to instant messaging, audio/video chat, and group chat options, you’ll need to upgrade. Arab Lounge’s profiles are detailed and extremely thorough. While you don’t have to fill out everything, if you feel so inclined, you could spend quite a lot of time answering questions about your appearance, lifestyle, favorite things, and values. There is even a short personality test to help match you with other members. A nice small feature is the option to indicate your mood by selecting an emoji. Perhaps the most unique feature of this site is the opportunity to donate to the Palestine Children’s Relief Fund, which honestly felt a bit out of place on a dating website. Finally, the FAQ and Tips sections were both surprisingly full of helpful information. Siberalem.com is the only site that comes close to Arablounge.com. This site is another great option, but you will need to speak or understand Turkish to navigate around the site. Siberalem has been around for a really long time (since 2000), making it a popular option for locals of Istanbul and Ankara. Even though the site has been around a while, they have evolved with the times and have apps for every smartphone platform (Google Play, Apple’s App Store, and Windows). You can either sign up directly on their website, or download the app to your smartphone or tablet free of charge. Once you’ve done that, it is time to create your profile. First, write a title for your profile and then answer a series of questions about your physical appearance, style, life, family, and other general information. Be sure to spend some time on this. A well-written profile will yield the best results. As you fill out your profile, you can see how it looks to the rest of the Siberalem community by clicking the “how it looks” button in the upper right corner of your profile page. Next, add your best photo. You can either add photos directly from your device (computer, tablet, or smartphone), or you can add photos directly from your Facebook profile. In order to edit your photo, click on the magic wand that appears over the photo and use the appropriate filters. After you upload your photo, your photo will show that it is pending approval. Once your photo is approved by the site’s admin, you can select it as your profile photo. The approval process typically takes less than an hour (during a normal business day). Siberalem enables you to search using a number of criteria, including marital status, profession, zodiac sign, height, weight, drink vs. don’t drink, smoker vs. non-smoker, education level, monthly income, have children vs. no children, etc. What I like about Siberalem is that you can also search by keyword. For example, if you want to find someone who is a dog-lover, type “dog” in the search box. Be sure to save your searches by clicking “Save This Search” in the upper-right portion of the screen. You’ve got three options for communicating with other members: send a wink, send a standard message, and live chat. Unfortunately, there is no video chat option. One unique feature is the ability to turn your profile on and off. This feature comes in handy if you have met a match, but you are not sure yet if the budding relationship will go the distance. You can turn your profile off so that you will not appear in the search results. If for some reason the budding relationship comes to an end, you can easily turn your profile back on to get back in the hunt.